David Brooks describes a culture shift that doesn’t seem to be serving us well. Click here for the NYT column. Many thanks to all who prayed and praise be to God for all the blessings. Nimrod is home! Thank you for praying for Nimrod! The news is really good, his recovery is progressing! His dad says that: “Babies after this operation usually are not capable of sleeping longer then 30-40 min and only in arms… due to the shock of operation, pain of the head…” But in this case our little buddy “slept twice last night both times it was few hours, and in his bed”! This is clearly God answering our prayers!!! Please keep up the prayers. God is answering! #prayForNimrod – updated again: Wed p.m. 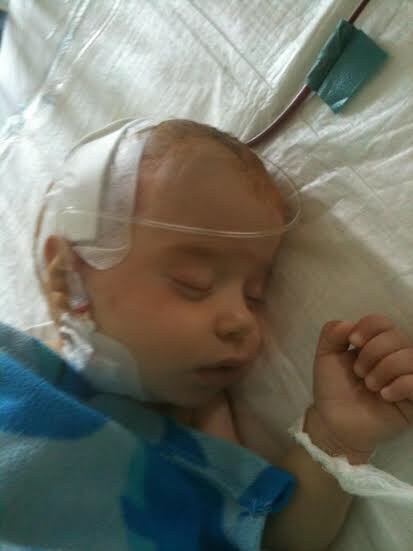 Your prayers are needed for a 7 month old boy named Nimrod, the son of long time friends Laci and Keri in Hungary. Sometime Tuesday he will be having surgery to correct a misshapen skull. Please retweet, favorite and like to pass this around and get folks praying. Thanks! Tuesday morning USA time,Doc says surgery went well!! Thanks be to God!!! Please keep praying for full recovery and for mom and dad as they wait (especially mom at the hospital in another city and dad at home with the three older siblings who started school yesterday). Update on Tuesday afternoon USA Eastern time: Next 48 hours are important for recovery. PLEASE keep praying!!! Wednesday morning: little Nimrod didn’t have a great night. Please pray for him to gain strength and for swelling to go down. Thanks for praying! Wednesday afternoon: It is evening in Hungary and the news about little Nimrod is less than good. He is swelling, feverish and not keeping food down. We really need your prayers NOW!! Please pray for his recovery and for his mom to be strengthened as she is at the hospital with him while dad takes care of three big sisters. The Economist on NATO getting its purpose back in focus. Read HERE.